When it comes to selecting an Oriental rug, separating the good from the bad isn’t always easy. Unlike other artistic classes, many of the best Oriental rugs don’t come from world renowned artists, but are either woven by hand in small villages or made by those who are only prominent within their own city. And unless you know specifically who to look for with regards to the artist themselves, even signed pieces are difficult to distinguish from one artist to another. With that in mind, here are three ways to tell if your rug is top-of-the-line or was assembled by an amateur weaver. The quality of an Oriental rug’s materials is a great place to start, as many artists who use superior materials also typically create superior rugs. A rug made from high-grade, hand-spun wool or silk will give off a certain luster which many companies who produce rugs by machine have attempted to duplicate. When examining a rug, look for a shine that doesn’t appear overly synthesized, but displays a natural iridescence across the entire piece. With silk in particular, pulling a small thread from the rug itself and burning it will produce the smell of burnt hair – if you have that experience, then you can be certain it’s not artificial. With regards to technique, there are three things you want to look for that can profoundly affect both the quality and value of your rug. Not only do you want to find a rug by an artist who exhibits acute skill in their artistry, but you also want to ensure it was made by hand rather than by machine. Is the rug machine-made? A quick way to tell if a rug has been produced by a machine is if the fringe is sewn to the rug. If so, the rug was manufactured by machine, and while it may be functional and beautiful, it is far less valuable than a handmade rug. Is the rug hand-tufted? These rugs are often easy to spot because of their petroleum-based rubber (or other type of material) backing. Their name gives an indication of being produced by hand, but really they’re being put together by a mechanized “gun” that inserts the wool atop a backing with a pattern drawn upon it. Handmade rugs have no backing. Is the rug handmade? 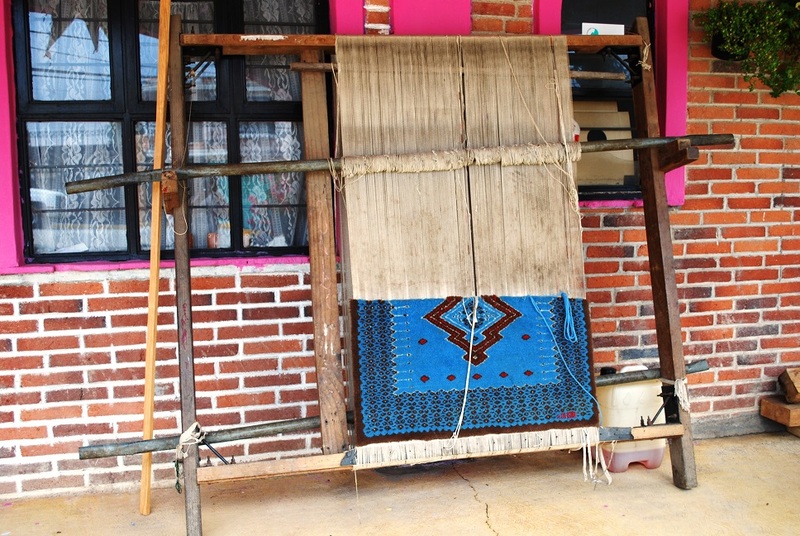 Rugs in this category have been produced on a loom entirely by hand, being painstakingly knotted together, and where the fringes are made of the warp strings themselves and not merely added to the rug later on. Two more things to research when examining an Oriental rug are the “knots per inch (KPI)” and the length of the rug’s pile. Once you have determined how the rug was manufactured, knowing the number of knots contained in a single square-inch can help you evaluate the amount of work which has gone into making the rug. From coarse to super-fine, the quality a rug’s pattern often hinges on the number of knots present upon it, making something such as a palm frond either distinct and stunning or a vague representation of the motif. Though there are some exceptions, the large majority of Oriental rugs whose pile is on the longer side tend towards a lower quality. The reason? Longer piles are more apt to deliver fuzzy designs and are less durable than their shorter counterpart, often being compressed over time and making them susceptible to wear. Unless the rug is going to be hung or placed in a no-traffic area, be sure the pile will stand up to use. While there are other things to look for, these items will help you on the right path to finding a rug that is up to your standard. Be sure to check out our inventory of both antique and modern carpets from around the world, or if you already own the perfect rug, contact one of our specialists who will walk you through the entire process of having your rug appraised. Also, as you may already know, the value of your rug can rise dramatically based on its condition, making it imperative to regularly cleaned or repaired in order to keep it looking its best. If you’d like to see your rug in person, visit our showroom.